Maintaining clean gutters is an essential part of overall roof maintenance. 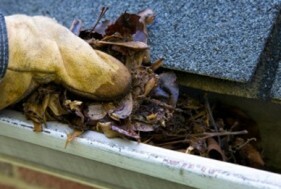 Gutter Cleaning is a complimentary service provided with every Roof Restoration completed. For all your roof repair, restoration and cleaning requirements contact Melbourne Roof Cleaning and Restoration for an obligation FREE Inspection and Quote. Our expert roofing specialists will advise on the recommended course of action to get your roof back to its original condition.